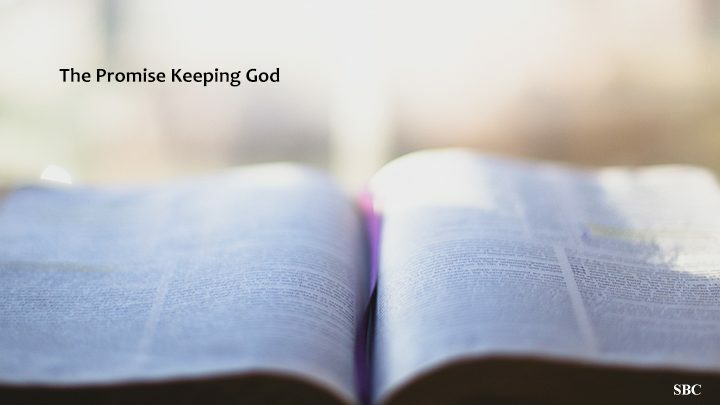 The final sermon in our series looking at ”The Promise Keeping God”. Today we come to the end of our series on the covenants contained within scripture. Once again. Once again our passage on the New Covenant whilst it is taken from the New Testament has to be understood through the lens of the Old Testament. Paul points out several differences between the Mosaic or ‘Old’ Covenant and the ‘New’ Covenant instituted by Jesus during the last supper and accomplished through His death and resurrection. When we become Christians God gives us a heart that wants to obey Him. The Old Covenant was never meant to last forever. It had the sole purpose of exposing man’s sinful nature and pointing out the need for a saviour. The New covenant has no such limitation as Christ’s sacrifice needs no repeating as He died once for all. The writer is making a word play between the veil that Moses wore after his encounter with God on Mount Sinai and the veil of the Temple that was torn in two as Jesus died signifying that there was no longer any separation between people and God. In the first case Moses had to wear a veil because just the reflected glory of God on his face was enough to make people uncomfortable around him. As Christians we have had the veil removed and are being transformed into His likeness, and it is perhaps to be expected that we will make some people uncomfortable as we reflect the glory of God. We must pray for those who hear the message that they may have the veil lifted from their hearts so that they can understand the gospel and so be saved by faith in Jesus.